Candlemas is February 2nd, forty days after the birth of Christ it is the Festival of the Purification of Mary. 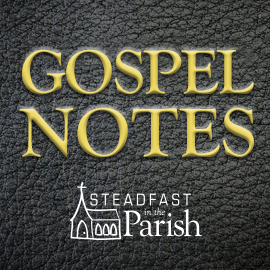 The Gospel Lesson for this festival is Luke 2:22-40. Perhaps this particular festival does not loom as large in significance to many Christian readers. Even more unfortunately, it seems to be overlooked in Lutheranism today. 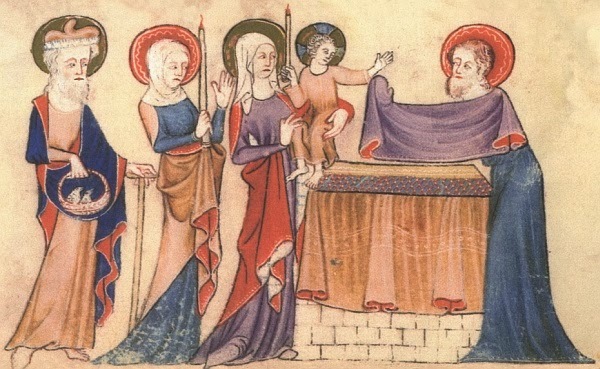 The theological importance of Christ’s presentation at the Temple, Mary’s fulfillment of the Law of Purification, the meeting with Simeon and Anna, and the words of Simeon to Mary and the Nunc Dimittis are essential to appreciating the Humiliation of the Son of God when He became man to fulfill the Law and suffer for us. But this particular Holy Day has also been under assult from the time of the radical Protestants began rejecting all liturgical practices of the medieval Church. Today the assult is twofold: radical Protestants continue this assult, and non-Christians use some of the same arguments in an attempt to discredit Christianity as a whole by attempting to discredit each of the practices of Christianity. For the most part their arguments fall into the categories of proof by intimidation (argumentum verbosium), obscurantism, and what South Park calls “The Chewbacca Defense” (irrelevant conclusion). What we hope to do in these articles is present the basic information about each Holy Day, and the claims made against them in a clear order. In doing this we present quotations or links to the actual historical writings of the people involved, or the earliest possible references known. We do use modern historians also, for two reasons: 1) to understand the nature of their claims, and 2) to check on their sources to see if they are valid and support their claims. 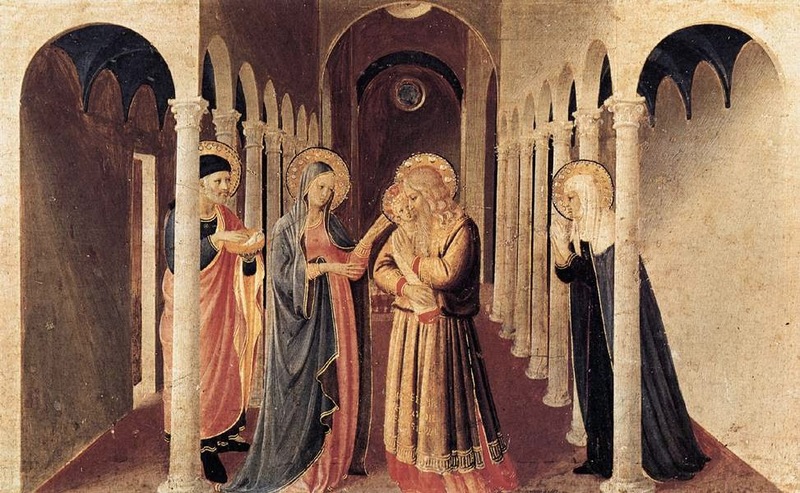 The Feast of the Presentation of Christ in the Temple and the Purification of the Virgin Mary is widely observed today in Confessional Lutheranism. 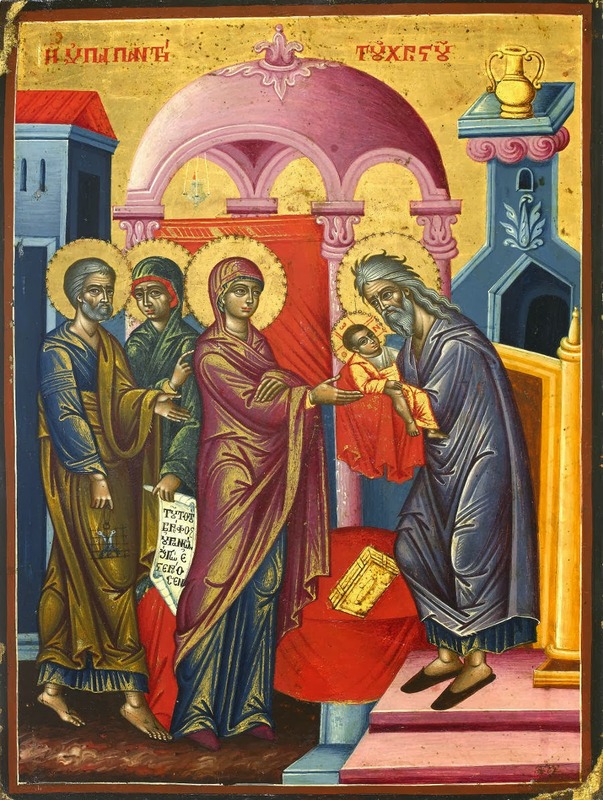 The Gospel lesson relates the events that took place forty days after the birth of Christ, including Simeon’s singing of the Nunc Dimittis, and the visit of Anna the Prophetess. It has become popular today to claim that Christianity stole/baptized/or subverted pagan holidays for our own purposes. This claim is widely accepted as factual simply because it is considered common knowledge. 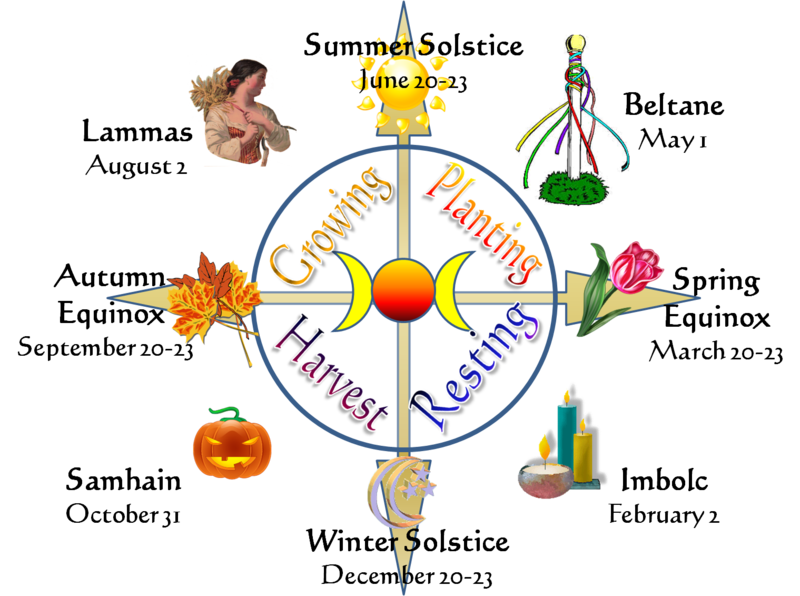 Neopaganism and Wiccans have made particular claims about this Church Holy Day. “’Candlemas’ is the Christianized name for the holiday, of course. The older Pagan names were Imbolc and Oimelc. ‘Imbolc’ means, literally, ‘in the belly’ (of the Mother). For in the womb of Mother Earth, hidden from our mundane sight but sensed by a keener vision, there are stirrings. The seed that was planted in her womb at the solstice is quickening and the new year grows. ‘Oimelc’ means ‘milk of ewes’, for it is also lambing season. 1) February 2nd originally was originally a pagan holy day. 2) That pagan holy day was from the Celtic tradition of celebrating Imbolc. 4) The Irish Christian St. Brigit (feast day Feb. 1) is really a christianization of pagan goddess Brigid. In short, the argument would have to claim that the 2nd century Christians (in Asia Minor, Egypt, and Rome) who established the dates of Christmas at Dec. 25/Jan 6 chose those dates because they knew that some Irish Celtic writers 800 years later would call February 2nd Imbolc. 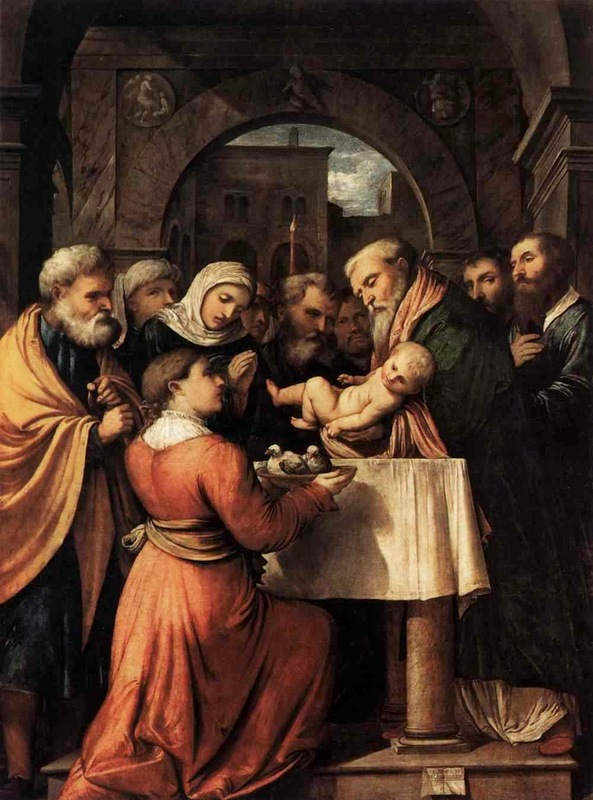 So let us start with the documented history of Candlemas. 2 “Speak to the children of Israel, saying: ‘If a woman has conceived, and borne a male child, then she shall be unclean seven days; as in the days of her customary impurity she shall be unclean. 3 And on the eighth day the flesh of his foreskin shall be circumcised. 4 She shall then continue in the blood of her purification thirty-three days. She shall not touch any hallowed thing, nor come into the sanctuary until the days of her purification are fulfilled. For some liturgical traditions the Festival of the Purification/Presentation marks the end of the Christmas/Epiphany season: thus we have “The Forty Days of Christmas.” Historically there has been some variation in some regional churches as to whether the day is observed 40 days after Christmas, or 40 days after Epiphany. So we will find some ancient sermons commemorating this festival as The Fortieth Day of Epiphany. We have already demonstrated from Hippolytus of Rome and Clement of Alexandria that the December 25th/January 6th dates for the Nativity of Christ were already widely established throughout both the Eastern and Western Church by the end of the 2nd century A.D. This is well before the time of Constantine and the Nicean Council (Article on The Annunciation, Article on Christmas). This means that the date for the celebration of the Purification of Mary and the Presentation of Christ would not be a consequence of trying to somehow sanctify a pagan holiday. The date is a simple matter of counting from that date according to the ceremonial law set down by God through Moses in the 15th century B.C. By the end of the 2nd century A.D. the Post-Apostolic and Ante-Nicean Church established these dates for Christmas on the basis of their own Biblical exegetical readings. The documents show that the choice of these dates had nothing to do with any so-called “Celtic” worship or gods, nor even with any Roman, Greek, Egyptian or Mesopotamian pagan practices. When did Christians Start Observing the Festival? Very often the claim is made that the date of the Purification of Mary was not fixed in the Church calendar until the time of Justinian–who reigned A.D. 527-565. The old Catholic Encyclopedia claimed that Justinian introduced the feast to the Eastern Church. And this is often misquoted or misrepresented as if Justinian invented the liturgical feast. However, it is ironic that many of the same people who maintain that Justinian introduced this feast also try to maintain (contrary to the facts) that Constantine (who reigned A.D. 306-337) fixed Christmas to December 25. But if they wish to think Constantine established those dates in the early 4th century, then by their own argument the date for the Purification of Mary would have been fixed at that time too. It is not a matter of the Church having to invent new holidays, it is an issue of teaching the life and work of Christ through the year using what is known of the dates from the Gospels. But when did the Church actually start commemorating this day with special sermons, prayers, or liturgies? Deus cui in hodierna die Unigenitus tuus in nostra carne, quam assumpsit pro nobis, in templo est praesentatus, praesta ut quem redemptorem nostrum laeti suscipimus venientem quoque iudicem securi videamus. By the same Thy Son Jesus Christ our Lord. Amen. Even though this last document is so much later than the others, it is included here to demonstrate a couple of very important points. First: The documented liturgical celebration of this particular festival is continuous, widespread, and not dependent upon non-Christian festivals in any of the various areas in which it was celebrated. Second: The actual documentation for this liturgical festival is older than any documentation that exists for the Celtic holiday that Presentation is supposed to replace. What Do We See So Far? In the early celebration of the Feast of the Presentation of Christ and the Purification of the Virgin Mary there is no reference to pagan days or worship. Rather, what we see is a desire to continue an annual commemoration based upon the dating of Christ’s birth on December 25th. And, this dating to December 24th occurred before the end of the second century A.D. and was based upon the festival of Passover in the Pentateuch. The choice of February 2nd is not arbitrary, but based upon the ceremonial law regarding the purification of women after the birth of a son and the redemption of the firstborn. These ceremonial laws are from the Pentateuch and unrelated to any European notions of ceremonial pagan festival dates. The Feast of the Presentation of Christ is documented early; it is documented in widespread areas; and it is documented continuously. Plus, the documentation that exists for the Feast of the Presentation is older than the earliest documents about Celtic practices that are claimed as the source for the Christian Holy Day. Has the church ever adopted pagan times or institutions? Yes. The Old Testament is full of examples and the consequences, and church history is full of all kinds of examples. While the church fathers have often been selectively misquoted to support such claims–in particular against Christmas, we have shown in a previous article why it is necessary to read them in context. 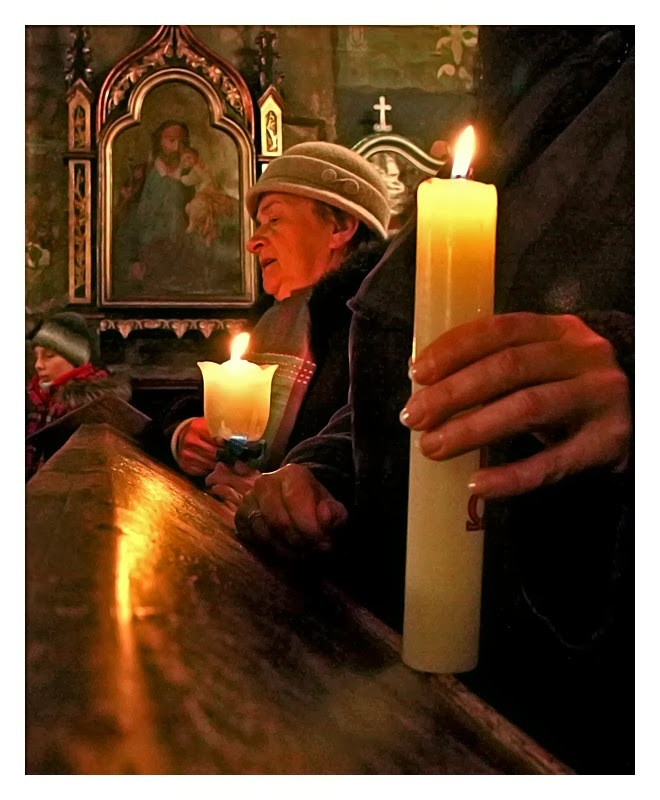 Here we have documented both an established and widespread liturgical observance with candles as well as Bede’s understanding of the reason for the candles. None of the pagan Roman feasts of February employed candles as part of the ritual. But early Protestant writers “tried to defame the medieval ritual by declaring that it had been taken directly from a pagan Roman festival of lights upon the same date.” (ibid. 140) And this was taken up as a refrain by the early folklorists. Thomas Becon’s 1563 The Reliques of Rome, fos. 158-78. Joshua Stopford’s 1675 Pagano-Papismus, p. 237-43. Beatus Rhenanus’ unnamed work was probably just as inaccesible to the original readers as it is today. The quotation pretends to derive authority from Tertullian’s writing Against Marcion book 5. The implication is that the candles and the particular date originate in pagan Rome and that Tertullian explicitly describes them as such. Actually, there is no record of a Roman festival on February 2. Februalia was the 13th to 15th of the month. There were no candles in the non-Christian Roman rituals. Instead, there were rituals on behalf of the dead during the mid-February Roman festival which Tertullian used as an example parallel to the lustration/washing of Baptism to teach the distinction between their vague bodiless eternity and the resurrection of the dead by faith in Christ. This misuse of sources and misrepresentation of information can be shown in almost every example Stopford gives. This tactic, and often the very ordering and wording of these feigned sources was repeated by many of the radical Protestants in their rejection of the practices and teaching of the medieval Church. We see this in 1853 with Alexander Hislop’s The Two Babylons, and in the various groups adopting his work both in Presbyterianism and in the descendants of Millerism. Roman paganism doesn’t work as a source. Neopagans and Wiccans make frequent appeals to Celtic origins for Christian festivals. We have dealt with some foundational problems with those claims in Part 3 of the article on St. John’s Day. These were, briefly: the historical/geographic origin of the festival in question; the megalithic monuments as evidence; actual documentation about Celts from various periods; and actual ancient Celtic calendars. But the Feast of Purification happens to fall close to a Celtic day concerning which much has been written in the last 100 years. Wheel of the Year, invented in the 20th century is not an ancient pagan calendar. Imbolc/Oimelc is not found in the old Celtic calendars, like the Coligny Calendar. It is not until the middle ages that there is written evidence of such an event. And it wasn’t until the 20th century that the “Wheel of the Year” was invented. Tochmarc Emire “The Wooing of Emer by the hero Cu Chulainn,” composed in the 10th or 11th century A.D. The maiden, Emer, sets one test for her suitor, to go sleepless for a year. In this test she names the main parts of the Irish calendar. (par 55, p. 232) But there is no mention of any pagan festival associated with this point on the calendar. Nor is there any comprable date listed on the Roman/Julian Calendar. Sanas Cormaic (Cormac’s Glossary early 10th century) under “Oi” refers to “oimelc” as the milking of lambs at that time of year, but no pagan festivals. Let us recall where we are with actual documentation. We have a 2nd century date for placing the liturgical observance of Christmas on December 25th. This is known from separate authors in Asia Minor, Egypt, and Rome who wrote in that period. The date for the Festival of the Presentation is the result of the Biblical text’s mandate of 40 days for the purification ceremony. The festival was celebrated before the 4th century and shows very detailed liturgical observance in texts from the Middle East, Africa, and Southern Europe before the end of the 4th century. We have records in the British Isles demonstrating that the festival was observed as Candlemas by the beginning of the 8th century A.D.
Imbolc/Oimelc is not known until documents from the 10th century A.D. And those documents come from Ireland. Even if we were to grant the possibility that those documents may preserve historical names that go back to the 7th or 8th century, the names are still without any description of festival observance. And they still come long after (and have no ritual relation to) the Festival of the Presentation of Christ. We also have documents from the 16th and 17th centuries and later demonstrating that there was a campaign of writing undertaken by Protestants, particularly in England, who were rabidly anti-Roman Catholic and set against anything or ritual that came from the medieval Church. An examination of their writings shows they were not hesitant to misrepresent their sources in order to defame medieval Church practices. And the early folklorists of the 18th and especially 19th to early 20th centuries adopted some of the unreliable positions put forth by the radical Protestants. But there is another historical item that is closely related to the folklorists, Neopagan, and Wiccan claims about Candlemas/Presentation. It is that February 1 is St. Brigit’s Day. As can be seen in the initial quotation about this holiday, more concern is placed on Brigit than on Candlemas or Imbolc. The “Wheel of the Year” is an invention of the 20th century, specifically, of the last half of the 20th century. Because I am not Irish, and because I am not Roman Catholic, I did not grow up knowing anything about Brigit of Ireland, either Saint or goddess. Where I first learned of a Brigit was through the Neopagan and Wiccan sources. Most of it was similar or the same as what Mick Nichols wrote in the above quotation. 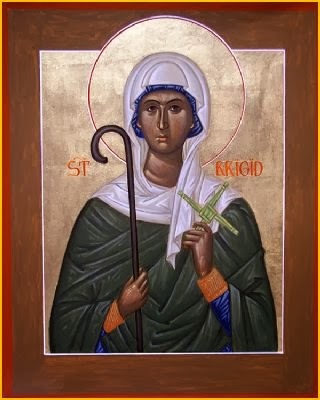 Who Was St. Brigit of Ireland? There are the two most widely honored Saints of Ireland: Patrick, and Brigit–the Patron Saint and the Matron Saint. Patrick’s day is March 17th, Brigit’s day is February 1. According to her biographers she was just a little younger than and contemporary with St. Patrick. She is called Saint Brigit of Kildare (c. 439/452–c. 524/526) the matron saint of Kildare. With Patrick we have some of his own writings. But we don’t have any writings from Brigit. The earliest biographers are Cogitosus of Kildare, and the unknown authors of Vita Prima and Bethu Brigte. These come from about 100 years after Brigit’s death. She receives a listing in Sanas Cormaic possibly 9th century, texts exist only from the 12th century and later. Sanct Brigit i.e. St. Brigit this. O. W. san-bregit Lib. Land. 42,264. Sant Brett ib. 225, 251 : Z. 162. Lan- Sanfreit ibid. 263, now lAsfo-San-ffraid. — Ed. Maire ocas aanetbriait, Broccan’s hymn, 1. 106.— O’D. As far as documentary support, Brigit’s earliest biographers who’s manuscripts survive to our day were written within 100 years of her death. Those biographies are also filled with descriptions of miracles both during her life and after her death. There are many direct parallels in her biographies with events surrounding the prophets of Israel, the Virgin Mary, and the Apostles. Whether one accepts these parallels as fact or as fanciful expansions of St. Brigit’s biography, there can be very little doubt that the parallels are drawn from the Bible: even Cogitosus’ ch. 26:2-3 where Brigit stays with a poor woman who gives up her last food to feed Brigit. Then, her food does not run out. This directly parallels Elijah (I Kings 17) and the similar miracle for Elisha (II Kings 4). Such parallels between Saints and the Prophets, Mary, and the Apostles are found in the writings about the lives of many of the Saints. Did you notice, however, that there is nothing in these writings demonstrating a relationship between St. Brigit and Imbolc or the Festival of the Presentation? They are next to each other on the calendar, but at this early date, they are considered separatly. But even if Brigit’s day were to have been on Candlemas, would that mean that Candlemas/Presentation were based on the St. Brigit’s feast? Of course not. Who Was the Goddess Brigit in Irish Mythology? The earliest reference to a goddess named Bigit is found in the possibly 9th century Sanas Cormaic (Cormaic’s Glossary). Brigit i.e. a poetess, daughter of the Dagda. This is Brigit the female sage, or woman of wisdom, i.e. Brigit the goddess whom poets adored, because very great and very famous was her protecting care. It is therefore they call her goddess of poets by this name. Whose sisters were Brigit the female physician [woman of leechcraft,] Brigit the female smith [woman of smithwork] ; from whose names with all Irishmen a goddess was called Brigit. Brigit, then, breo-aigit, breo-shaigit ‘a fiery arrow’. B. omits the absurd etymology of Brigit, which name is certainly (as Siegfried thought) connected with the O.Celtic goddess-name Brigantia and possibly with the Skr. Brhaspati and O.Norse Bragi. The name of the Dagda (as to whom see infra b.v. Ruadrofessa) Siegfried thought was borrowed from Lat. doctus, as augtor from auctor, legtóir from lector. But why not then Dogda? I would rather regard it as a genuine Celtic part. pass, meaning doctus, but to be connected with the root DAGH in δι-δαχη, δε-δι-δαχ-α. –Ed. Note that Stokes, the editor, dismisses the etymology found in the later editions of the Glossary. While Stokes may be correct, the etymology found in these latter editions is used today as an identifying characteristic in the popular conception of Brigit. Lebor Gabála Érenn (The Book of the Taking of Ireland) is a 11th century collection of a variety of literary types that were put together as if they were a history of Ireland. The critical edition of Lebor Gabála Érenn bridges two periods, that of the manuscripts, and that of the folklorists. Direct mention of Brigit is found in volume 4 of R.A.S. Macalaster’s 1941 edition on pages 92, 102, 104, 133, 159, 197, 308. In this textualcritical edition only pages 133, 159, 197 actually represent text versions of the Lebor Gabála Érenn. And these three versions represent the same two paragraphs of text. Those two paragraphs are all that it actually known about Brigit from these manuscripts. The rest of the references (92-104, 308) are all Macalastar’s mythopoeic and folkloric conjectures about Brigit. Brigid the poetess, daughter of the Dagda, it is she who had Fe and Menn, the two royal oxen, of whom is Femen, that is two oxen of Dil of whom is Mag Femen named. And with them was Torc Triath, king of the boars of Ireland, of whom is Mag Triathairne named. With them were heard the three demon cries in Ireland after ravaging–whistling, and wailing, and outcry. There are no other old Irish references that I could find. Cusack, and Ó Catháin, defenders of the goddess Brigit=> St. Brigit line of thought bring no other ancient Irish texts to bear either. And before we go to Britain, did you notice anything in these texts that would point to February 1, to Imbolc, or to the Presentation of Christ and Purification of Mary? There was nothing. Brigantia, (wikipedia) was a female goddess (or objectification of a female ideal) of a group of Celtis called Brigantes who lived around Hadrian’s wall in the north of England to the midlands of Scotland. Strabo (64 B.C. – A.D. 24 mentions another tribe called Brigantii (Geographia Book IV Chap. 6). It is uncertain whether the name for the group meant “highlanders” or if it was metaphorical as in “noble/high ones.” There are seven known inscriptions to Brigantia (“the highland babe”? “the highland goddess”?). All of the inscriptions were found in Britain (e.g. : Birrens, Scotland; three from Yorkshire; one at Corbridge on Hadrian’s Wall; all listed below in resources). And the inscriptions demonstrate that they lived there from Strabo’s time to at least A.D. 208. Linguists have conjectured that the name Brigantia comes from what they believe could possibly have been a word in a conjectured common source language (labled by them as Proto-Indo-European), and that word means “High”. But that does not mean that all the places that stick up and were called “high” must necessarily be a reference to Brigantia. It has been conjectured that Brigantia and Brigit are the same (at least as early as R.A.S. Macalaster and J. Frazer–that is from after the 1880s). But the main charactaristics and the heritage of these two goddesses are different. And there is no archaeological and no literary overlap. Even if such an overlap could be established by objective evidence, this still has no bearing on the establishing of the Feast of the Purification of Mary and the Presentation of Christ. There is nothing here of even Imbolc or a reference to a time of year. So how did all of these tightly interwoven relationships between all these diverse historical issues come into existence? Some can be laid a the feet of the Romantic writers, even the Gothic movement. (See Ronald Hutton 1999, The Triumph of the Moon, chapters 1-3) But it was professionals who put their seal upon the mix and made it official. It is not until after 1860 that more information is put in writing on Brigit. In that year Alexander Carmichael began his gathering of folklore, presenting papers and then publishing his first collection in 1891 as Idylls of the Isles. Later came the first full volume of the collection in 1900 titled Carmina Gadelica. Reprinted and a bit expanded in 1928, vol. I, the chapter on Brigit’s day is entitled “Sloinntireached Bhride” p. 164-177. James Frazer (The Golden Bough vol. 4, 1922, 242) expands upon the description of the fires made by Gerald of Wales and places it in a wider mythical context of his own mythopoeic construction. The actual documents from the middle ages have not changed. Nor has any other ancient information been uncovered. Much, much more could be written, there are many examples just with this particular Holy Day. But hopefully you have enough actual evidence before you to see where Candlemas really came from and how the ideas of paganism have actually interacted with this Christian observance. Judith S. Antonelli, 1997 “Debunking the Goddess Myth The ‘golden age’ of female divinities was a bad time for women” from On the Issues, The Utne Reader November-December. Alexander Carmichael, “Sloinntireached Bhride” in Carmina Gadelica, 1928, vol. I, p. 164-177. Carole M Cusack, 2007 “Brigit: Goddess, Saint, ‘Holy Woman’, and Bone of Contention” in Victoria Barker and Frances di Lauro (eds) On A Panegyrical Note: Studies in Honour of Garry W. Trompf, Sydney Studies in Religion 6, Sydney, 2007, pp. 75-97. Miranda Green, 1995 The Celtic World Psychology Press. Part I: Irish Texts Society, Volume 34, London 1938. Part II: Irish Texts Society, Volume 35, London 1939. Part III: Irish Texts Society, Volume 39, London 1940. Part IV: Irish Texts Society, Volume 41, London 1941. Part V: Irish Texts Society, Volume 44, London 1956. Séamas Ó Catháin 1999 The festival of Brigit the Holy Woman in Celtica 23:231-260. Pádraig Ó Riain (ed. ), 1994 Beatha Bharra: Saint Finnbarr of Cork: The complete Life, Irish Texts Society 57, London: Irish Texts Societ. 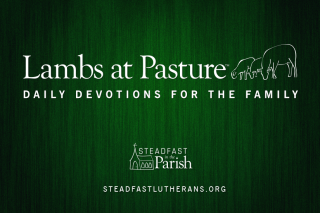 Is the practice of Groundhog’s Day related to Imbolc and what Mike Nichols described as the “stirring of the earth,” and the “seed…that is quickening,” based on the Romanticist writings of the 19th century? If so, it as though the groundhog was giving a report of what is happening underground. Compellingly collaborate on rubber-meets-the-road movements.